Snapchat is rolling out another major update , The company is today launching two new features: Multi-Snap and Tint Brush. 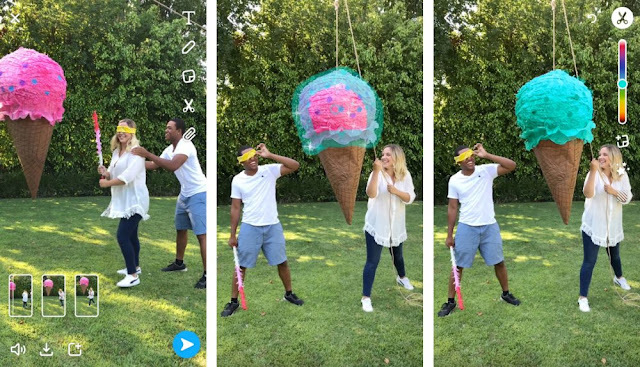 Titled Multi-Snap, the feature will enable Snapchatters to hold down the record button for one minute to create six 10-second videos without cessation, making a total of a 60-second long video. Previously, users could not create uninterrupted long videos and were limited to only 10-second recordings. The 60-second video recording feature is rolling out to iOS first with an Android release planned soon. Tint Brush is available on both iOS and Android now.